By using the Website in any manner, including but not limited to visiting or browsing the Website, you (“user”) agree to be bound by this Agreement, This Agreement applies to all users of the Website, including without limitation users who are vendors, customers, merchants, contributors of content, information and other materials or services on the Website. If you have any additional questions, you may contact us. 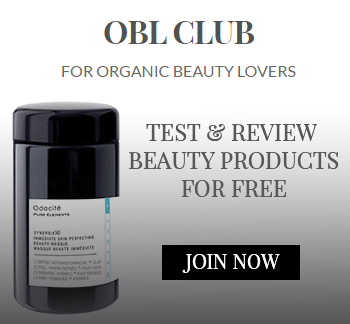 ORGANICBEAUTYLOVER is a platform whereby users (“Traders” and “Buyers” and “Sellers”), in accordance to Company’s policies and this Agreement and the Seller’s Participation Agreement, offer, counteroffer, decline, trade, buy and sell certain goods (“Company Services” or “Services”), such as organic skincare, makeup & wellness products. ORGANICBEAUTYLOVER is not involved in the actual transaction between Traders, Buyers or Sellers. While ORGANICBEAUTYLOVER may help facilitate the resolution of disputes, we have no control over and do not guarantee the existence, quality, safety, or legality of items advertised; the truth or accuracy of users’ content or listings; the ability of Traders to trade items; the ability for Sellers to sell items, and the ability for Buyers to pay for items, or that a Trader, Buyer, or Seller will actually complete a transaction or return an item; the legal transfer of item from one Trader, Buyer, or Seller to another; or that a Trader, Buyer, or Seller will actually complete a transaction. The duration or manner in which, as a Trader, your listings appear in search results. Regardless of the previous paragraphs, if we are found to be liable, our liability to you or to any third party is limited to the greater of (a) the price of an item at retail value, (b) the shipping costs associated with shipping the item. In order to use the Website or the Services, you must register for an account with ORGANICBEAUTYLOVER (an “Account”) and provide certain information. You represent and warrant that all required registration information you submit is truthful and accurate, and you will maintain the accuracy of such information. You are responsible for maintaining the confidentiality of your Account login information and are fully responsible for all activities that occur under your Account. You agree to immediately notify Company of any unauthorized use, or suspected unauthorized use of your Account or any other breach of security. Company cannot and will not be liable for any loss or damage arising from your failure to comply with the above requirements. Subject to the Terms, ORGANICBEAUTYLOVER grants you a limited, non-exclusive, nontransferable personal (i.e., non-commercial) license to access and use the Website and Services. The rights granted to you by the Terms will remain in force only for so long as the Terms remain in effect. You may not rent, transfer, assign, commercially exploit, resell or sublicense access to the Service to any third-party. You will not (nor will you cause any of your employees, contractors, agents and principals to) directly or indirectly reverse engineer, decompile, disassemble or otherwise attempt to derive source code or other trade secrets from any of Company’s technology. Any future release, update, or other addition to functionality of the Website or Services shall be subject to the Terms. You agree not to use the Website or the Services to: (a) violate any local, state, national or international law; (b) stalk, harass or harm another individual; (c) collect or store personal data about other users; (d) impersonate any person or entity, or otherwise misrepresent your affiliation with a person or entity; or (e) interfere with or disrupt the Services or servers or networks connected to the Services, or disobey any requirements, procedures, policies or regulations of networks connected to the Services. You may not (i) use any high volume, automated, or electronic means to access the Services (including, without limitation, robots, spiders or scripts); or (ii) frame the Website, place pop-up windows over its pages, or otherwise affect the display of its pages. You must keep your account information up-to-date and accurate at all times, including a valid email address. To trade items using ORGANICBEAUTYLOVER’S trading platform, you must provide and maintain valid shipping address and other required information in your account. You may not transfer or sell your ORGANICBEAUTYLOVER account and User ID to another party. If you are registering as a business entity, you personally guarantee that you have the authority to bind the entity to this Agreement. Company’s Services are not available to temporarily or indefinitely suspended ORGANICBEAUTYLOVER members. Company reserves the right, in Company’s sole discretion, to cancel unconfirmed or inactive accounts. Company reserves the right to refuse service to anyone, for any reason, at any time. Joining ORGANICBEAUTYLOVER is free. Sellers will be subject to a fee of $1 when their item(s) sell. ORGANICBEAUTYLOVER’S Fees Policy, which is subject to change, is incorporated into this Agreement by reference. Changes to the Fees Policy and the fees for Company’s Services are effective after Company provides you with at least fourteen (14) days’ notice by posting the changes on the Website. However, Company may choose to temporarily change the Fees Policy and the fees for Company Services for promotional events; such changes are effective when Company posts the temporary promotional event on the Website. Company may, at Company’s sole discretion, change some or all of Company Services at any time. In the event Company introduces a new service, the fees for that service are effective at the launch of the service. Unless otherwise stated, all fees are quoted in US Dollars (USD). You are responsible for paying all fees and applicable taxes associated with using Company’s Services. Company keeps accepted payment information for some members on file. If Company terminates a listing or your account, if you close your account, or if the payment of your Company fees cannot be completed for any reason, you remain obligated to pay Company for all unpaid fees plus any penalties, if applicable. If the traders account is not paid in full and becomes past due, the seller risks penalties such as the suspension of privileges and/or termination of the account and other collection mechanisms (including retaining collection agencies and legal counsel). If you have a question or wish to dispute a charge, contact us. A statement that the complaining party has a good faith belief that use of the material in the manner complained of is not authorized by the rights holder, its/his/ her agent, or the law. By listing an item for trade on ORGANICBEAUTYLOVER.com, you warrant that you and all aspects of the item comply with ORGANICBEAUTYLOVER published policies. You also warrant that you may legally trade/sell the item. You must accurately describe your item, including a clear description of any damage. Your listings may only include text descriptions, graphics, pictures and other content relevant to the sale of that item. All items must be listed in an appropriate category with appropriate descriptions. Each listing must accurately and completely describe the item/ items for trade/sell in that listing. Each unique item must have its own listing. All sales are binding. The traders/sellers are obligated to ship the order to complete the transaction with the each other in a prompt manner, unless there is an exceptional circumstance. If you do not complete a transaction, your account and all listings will be suspended and removed from the Site, and may be reinstated at ORGANICBEAUTYLOVER ‘S sole discretion. Traders may not exchange personal information or transact without using ORGANICBEAUTYLOVER ‘S secure trading platform for the purpose of avoiding any potential fees. Members may not misrepresent an item’s location, or use another user’s account without permission. access, procure or use any materials provided by or belonging to Company (including without limitation the Website) via automated extraction methods or tools such as “robots,” “screenscrapers,” “spiders” and data mining tools without Company’s consent (e.g. designation in a “robots.txt” file). Unless expressly requested by Company in writing, Company will not consider, review or evaluate unsolicited ideas, “pitches,” scripts, treatments, compositions, business models, product or service descriptions or any other confidential or proprietary information that you submit to Company. This policy serves to avoid misunderstandings in the unlikely event that any of Company’s business or creative activities have some coincidental similarities with the activities of another. If, in spite of this policy you still choose to submit any such items to Company , then you specifically agree that: (1) your entire submission will automatically become the sole and exclusive property of Company, and you will not receive any form of compensation for it; (2) Company will have no obligation to return your submission or respond to you in any way; (3) Company will have no obligation to keep your submission confidential or secret; and (4) Company has a royalty-free, unrestricted, worldwide, perpetual, irrevocable, non-exclusive and fully transferable, assignable and sublicensable right and license to copy, reproduce, modify, adapt, publish, translate, create derivative works from, distribute, perform, or display your submission for any purpose whatsoever. Any dispute arising from or relating to the subject matter of this Agreement shall be finally settled by arbitration using the English language in accordance with the Arbitration Rules and Procedures of Judicial Arbitration and Mediation Services, Inc. (“JAMS”) then in effect, by one commercial arbitrator with substantial experience in resolving intellectual property and commercial contract disputes, who shall be selected from the appropriate list of JAMS arbitrators in accordance with the Arbitration Rules and Procedures of JAMS. The prevailing party in any arbitration or other proceeding arising under this Agreement shall be entitled to receive reimbursement of its reasonable expenses (including reasonable attorneys’ fees, expert witness fees and all other expenses) incurred in connection therewith. Judgment upon the award so rendered may be entered in a court having jurisdiction or application may be made to such court for judicial acceptance of any award and an order of enforcement, as the case may be. Notwithstanding the foregoing, each party shall have the right to institute an action in a court of proper jurisdiction for injunctive or other equitable relief pending a final decision by the arbitrator. For all purposes of this Agreement, the parties consent to exclusive jurisdiction and venue in the United States Federal Courts or state courts. Use of the Website is not authorized in any jurisdiction that does not give effect to all provisions of the Agreement, including without limitation, this section. You and Company agree that any cause of action arising out of or related to the Website (including, but not limited to, any services provided or made available therein) or this Agreement must commence within one (1) year after the cause of action arose; otherwise, such cause of action is permanently barred. Should you have a dispute with one or more users, or an outside party, you release Company (and Company’s officers, directors, agents, subsidiaries, joint ventures and employees) from any and all claims, demands and damages (actual and consequential) of every kind and nature, known and unknown, suspected and unsuspected, disclosed and undisclosed, arising out of or in any way connected with such disputes. Company encourages users to report user-to-user disputes to your local law enforcement, postmaster general, or a certified mediation or arbitration entity, as applicable. Certain Company Services, including without limitation the Website, may include advertisements, whether from Company or third parties with whom Company partners. This advertising may be targeted to information found within one or more Company Services, whether submitted by you or by others. You consent to the placement, targeting and display of such advertising as consideration for your use of the Company Services. In addition, Company and/or its partners, affiliates or agents may, from time to time, send you pertinent information about the Company Services or other offerings which may be of interest to you. You consent to receive such communications as part of using the Company Services, including without limitation the Website. However, you may “opt-out” of any such communications at any time by sending an email to: INFO@ORGANICBEAUTYLOVER.COM with the words “Opt Out” in the subject line. The content on the Website, except for Content by users, the trademarks, service marks and logos contained herein (“Marks”), are owned by and licensed to Company. Materials provided on the Website are provided to you AS IS for your information and personal use only and may not be used, copied, reproduced, distributed, transmitted, broadcast, displayed, sold, licensed or otherwise exploited for any other purposes whatsoever without the prior written consent of the respective owners. Company reserves all rights not expressly granted in and to the Website and the Materials. You agree to not engage in the use, copying, or distribution of any of the Materials other than expressly permitted by Company, including any use, copying or distribution of third parties’ materials obtained through the website for any commercial purposes. If you download or print a copy of the Materials for personal use, you must retain all copyright and other proprietary notices contained herein. You agree not to circumvent, disable or otherwise interfere with security feature of the Website or features that prevent or restrict use or copying of any Materials or enforce limitations on use of the Website or the Materials therein. Both you and Company may give notice to one another as follows: (i) electronic mail transmission; (ii) first class mail or certified mail, postage prepaid; (iii) or express courier, cost prepaid. Notice shall be deemed given 24 hours after email is sent, unless the sending party is notified that the email address is invalid. Alternatively, Company may give you notice by certified mail, postage prepaid and return receipt requested, to the address provided to Company. In such case, notice shall be deemed given three days after the date of mailing.